Dr. Lew has subspecialty training in pediatric neurosurgery and is board certified in both neurosurgery and pediatric neurosurgery. He has particular interest and experience in the surgical treatment of pediatric epilepsy, pediatric brain tumors, moyamoya disease and craniocervical anomalies. 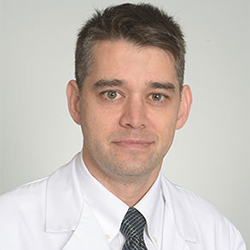 He is active in clinical research with an emphasis on pediatric epilepsy, pediatric cervical spine surgery, general pediatric neurosurgery, surgical techniques and outcomes. He has authored numerous peer-reviewed publications and his research has been presented nationally on numerous occasions.